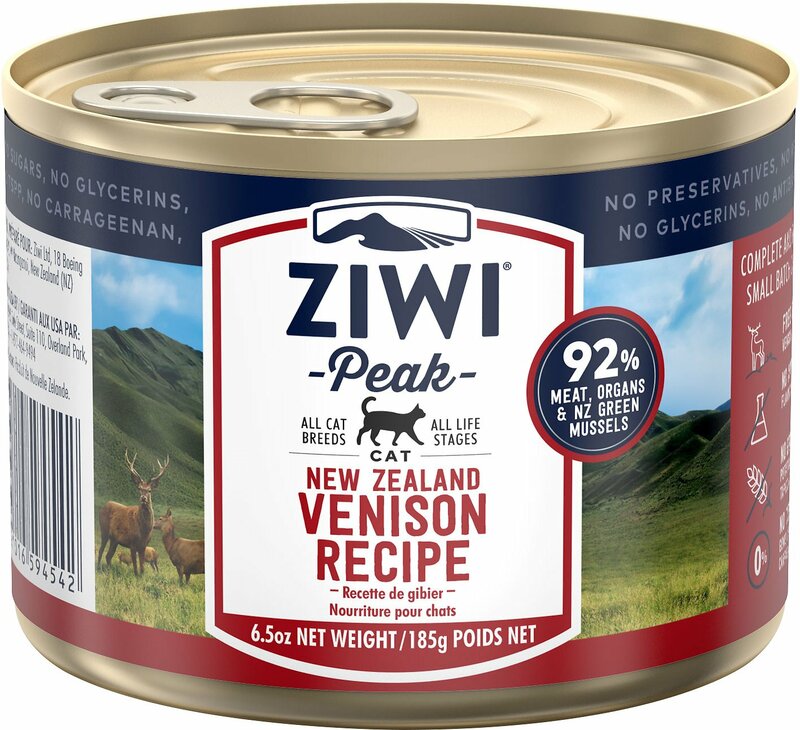 Feed your cat farm to bowl nutrition with Ziwi Peak Venison Recipe Canned Cat Food. 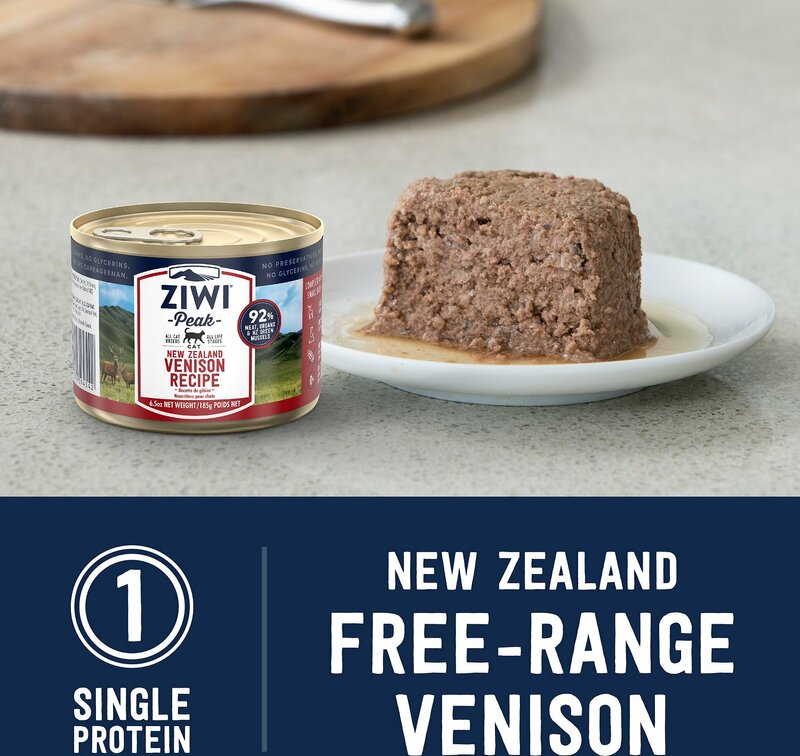 Simple and pure, just like the Ziwi love for cat, this recipe gives your pal the best of New Zealand. 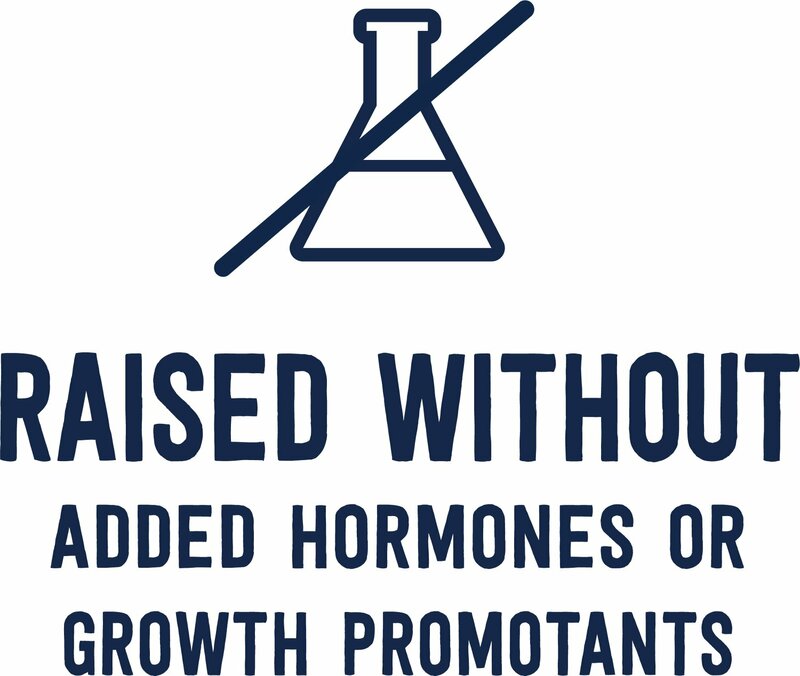 It’s designed to mirror a whole-prey, nutrient dense diet using fresh meat, organs and bone, as well as New Zealand green lipped mussels for a natural source of chondroitin and glucosamine. 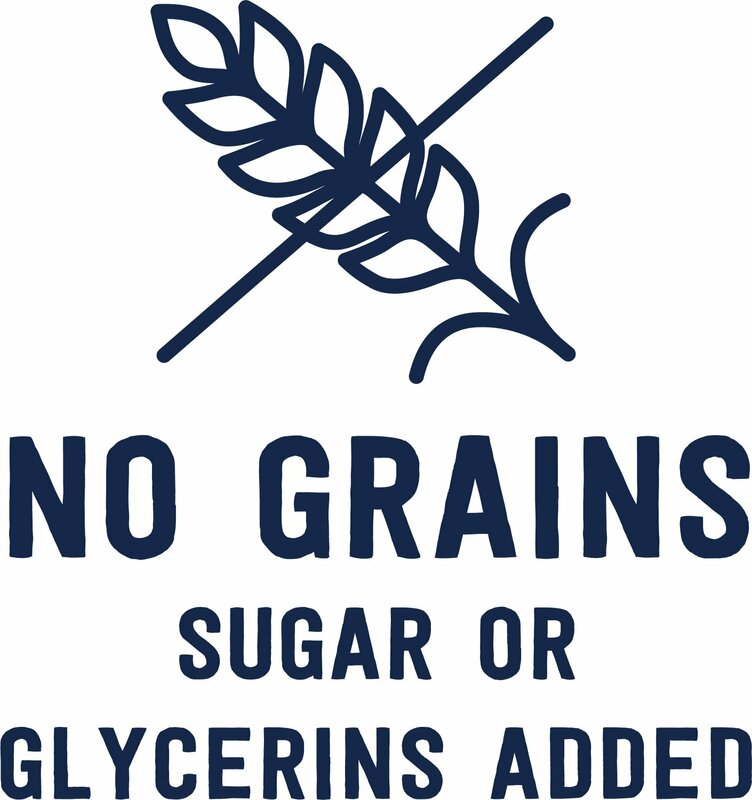 And to keep the formula as natural as possible, the complete and balanced nutrition does not include TSPP, BPA or carrageenan in the canning process. 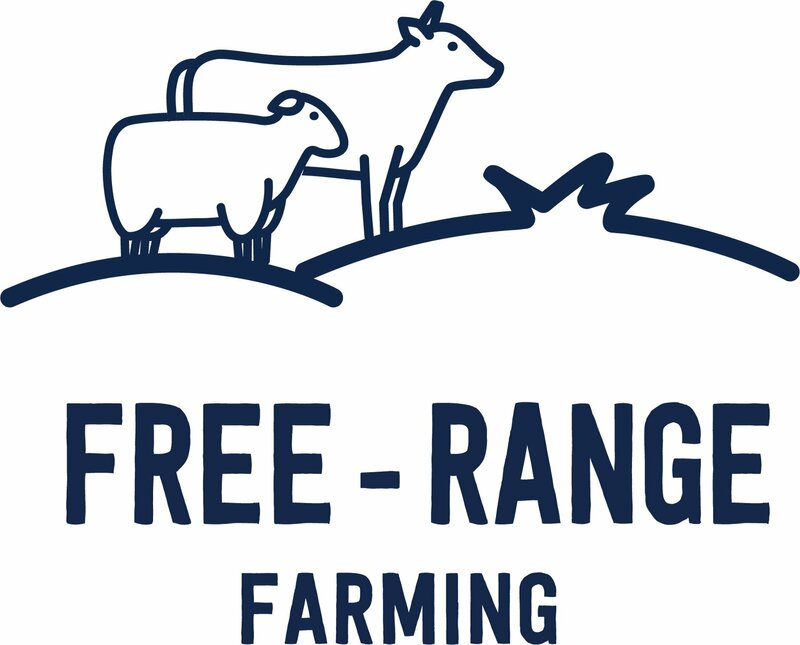 New Formulation: Venison, Water Sufficient for Processing, Venison Tripe, Venison Liver, Chickpeas, Venison Lung, Venison Heart, Venison Kidney, New Zealand Green Mussel, Venison Bone, DL-Methionine, Dried Kelp, Minerals (Magnesium Sulfate, Zinc Amino Acid Complex, Manganese Amino Acid Complex, Copper Amino Acid Complex), Taurine, Vitamins (Vitamin E Supplement, Thiamine Mononitrate, Pyridoxine Hydrochloride, Vitamin D3 Supplement, Folic Acid). 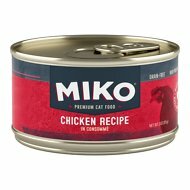 I'm desperately trying to switch my 4 kitties to a better canned food. I thought for sure this was the one, it has amazing ratings and positive articles online. Unfortunately, only 1 out of the 4 kitties would eat it, and she happens to be the one who eats anything! I'll keep trying their other flavors, have heard great things about Ziwi Peak! 6/9 kitties say no way! So I’m a crazy cat lady. We feed Ziwi as a supplement to their free feed dry food. Our cats LOVED the rabbit and lamb but only 3 would even try to eat the venison. I even watered it down and smooshed it so it was easier to eat and they still refused it. We will try the tuna next!! I have researched so many cat foods but nothing comes near Ziwi cat food. It is nothing short of amazing. It is expensive but so much is packed into one can that it last as long as a large can. The quality of the food is exceptional. I have switched over all of my cat food to Ziwi. My sixteen-year-old cat has energy like he did when he was 7 or 8. And, he has not thrown up one time since eating this food. I have had problems with other good brand cat foods that has made him sick. I personally think Ziwi makes really good cat food. My cat loves this food. Smell's kinda bad and there are bone shards mixed with food. I ordered this with low expectations, my cat has food allergies & is very picky . I’ve spent hundreds of $ searching & trying to find something she will eat.. I opened this can today & had to give it to her without working it into her diet fast cause Royal Canin hasn’t had their canned venison for weeks .. she dove in !! She loves it !! I don’t care what it costs , she loves it & it’s healthy .. happy customer here ! My cat goes nuts for this food!! My vet wanted my cat to try a novel protein diet, and I was having a lot of trouble finding anything that she would eat, but when I gave her this, she ate the entire bowl. She loves this food! Cat #1 loves this food. Eats every bite and never gets tired of it. Cat #2 is my picky one. He'll eat it if he's hungry enough, but he's never excited about it. I don't know why the venison flavor has gotten so expensive (and it's not just here, it's gone up in price at my local store too), but it's just one of several foods I rotate between, so I still buy it.